Fast and affordable care from board-certified physicians, with no appointment necessary. the affordable care you need. Berkley Urgent Care is Oakland County’s premier walk-in urgent care medical center dedicated to providing quality, affordable care with minimal wait times. Our team of board certified physicians and healthcare professionals are available 7 days a week to treat your needs at a time and price that fits your busy schedule and budget. Our medical center features advanced equipment, such as a digital x-ray suite and a trauma procedure room, allowing us to effectively treat all of your non-life threatening issues that would otherwise require an expensive and stressful ER visit. Our center is conveniently located in Berkley at the intersection of Greenfield and 12 Mile roads. Why Choose Us for Your Urgent Care Needs? Fill out the form below to notify our staff of your intended visit. 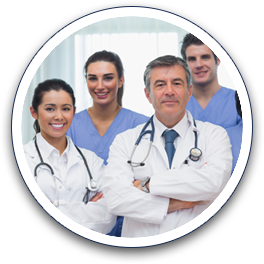 Our board certified physicians are committed to providing a welcoming environment and attentive care. The contents of this webpage are Copyright © 2019 Berkley Urgent Care. All Rights Reserved.